For quite some time now, our family has been on a path to have a wholesome diet, eat more organic foods, and lower the amount of sugar and white flour that we eat. As you can imagine, this can be difficult, especially on Valentine’s Day! 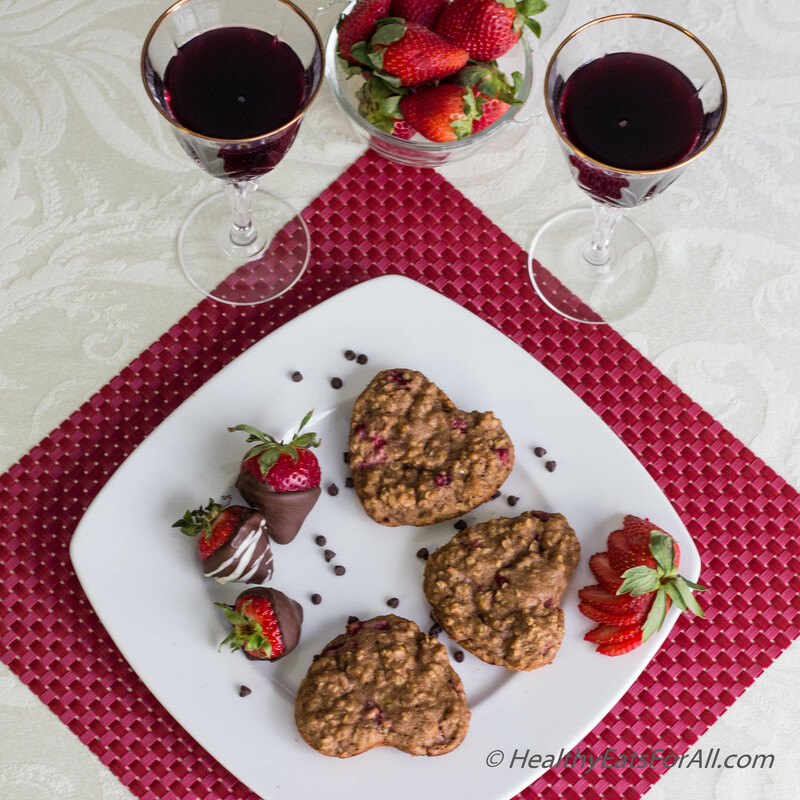 My husband and older daughter both have a serious sweet tooth, making it even more important to have some dessert possibilities that satisfy them and their taste buds 🙂 And let me tell you, it isn’t always easy! 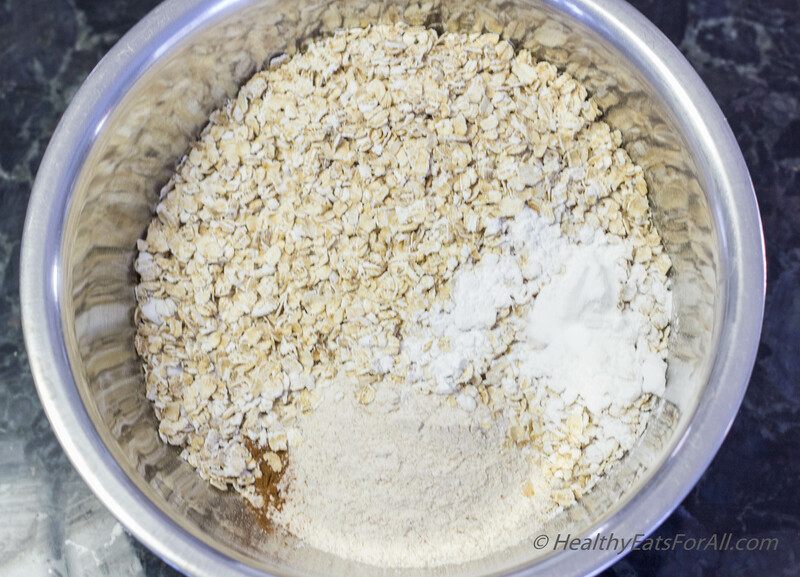 So when I came across this Oatmeal Blueberry Muffin recipe by Joy, I was delighted! 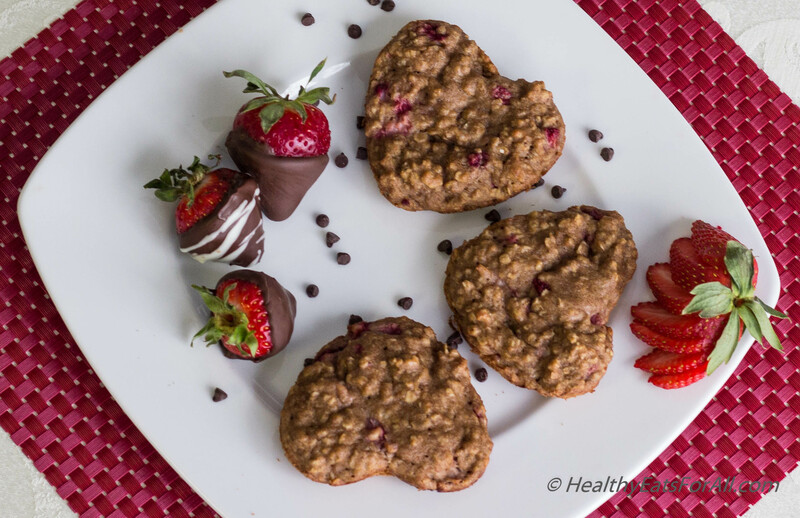 In honor of Valentine’s Day I used strawberries and heart shaped muffin pans 🙂 I also made some modifications in the ingredients. For example, since I had Chobani Greek yogurt at home, I used that instead of buttermilk. These muffins turned out to be soft, tender, moist, flavorful, and have just the right amount of sweetness! 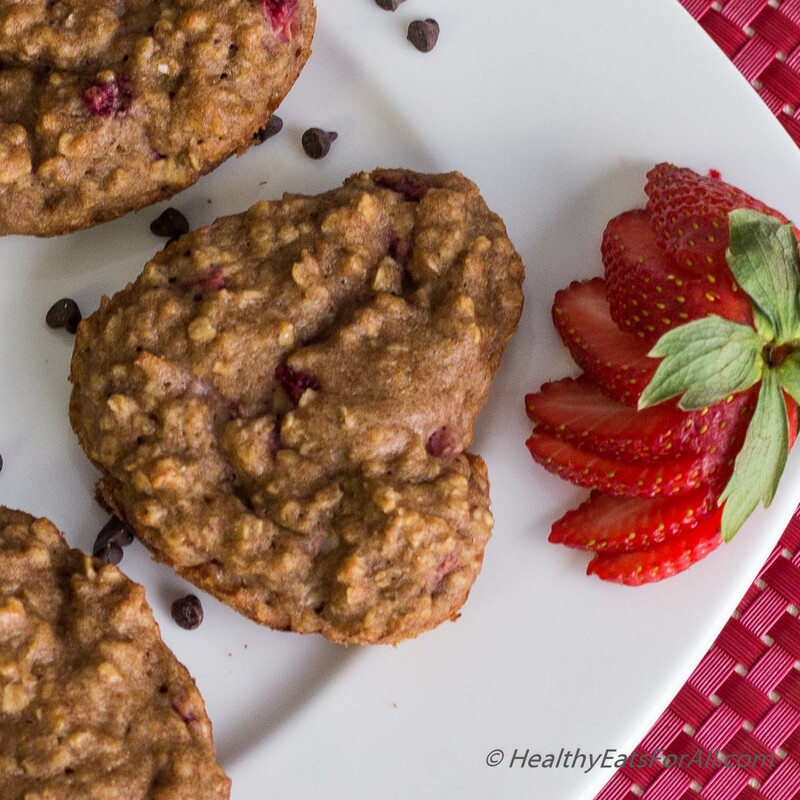 Normally the muffins that you get from grocery stores are 250-350 calories apiece, with lots of saturated fat and sometimes 20-25 g of sugar! These are barely 120 calories each with just 8.9 g of sugar and 16% of your daily Vitamin C! 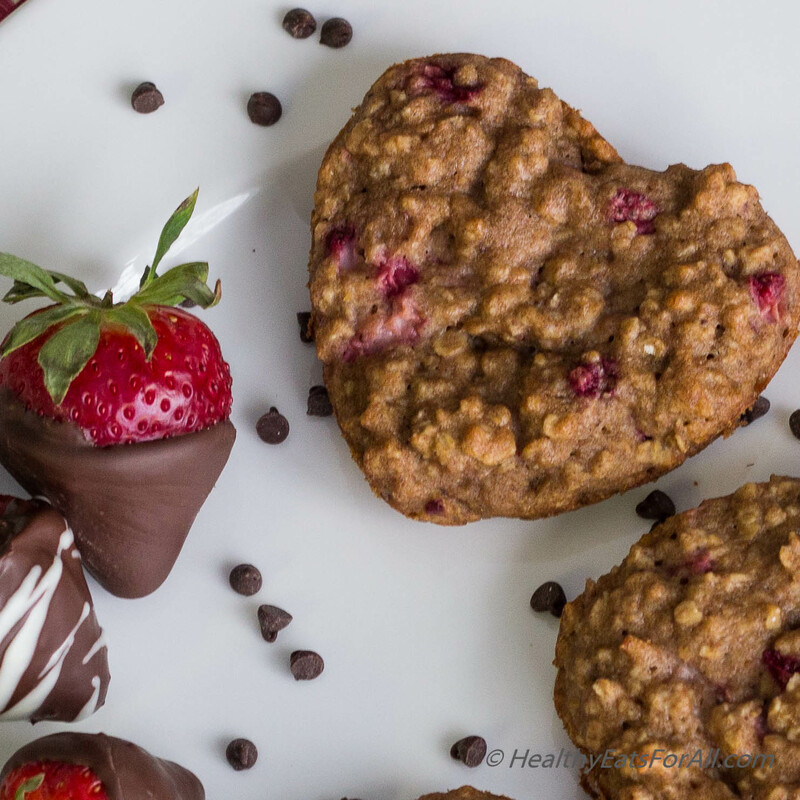 So please make sure to enjoy these guilt-free muffins for breakfast with a hot cup of tea/coffee, or as a dessert with some chocolate covered strawberries 🙂 Happy Valentine’s Day!! Grease and flour a muffin pan tray. 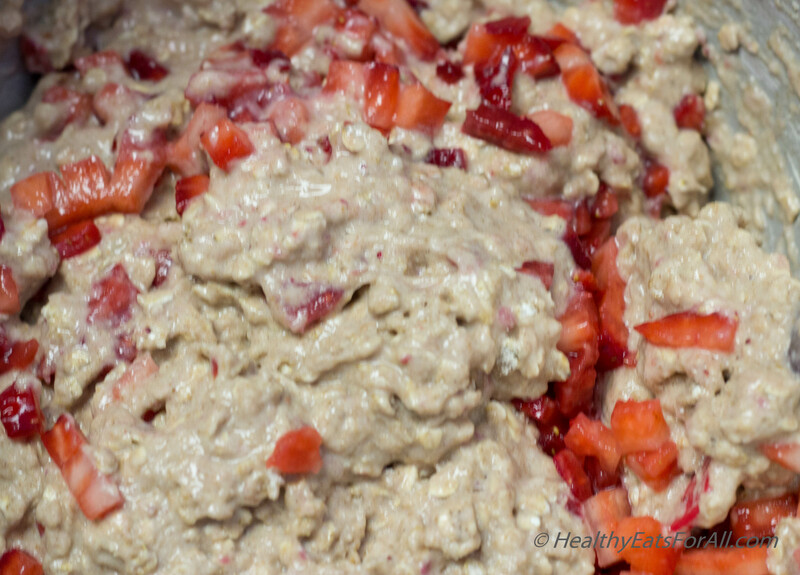 In one bowl, combine all the dry ingredients and set aside. 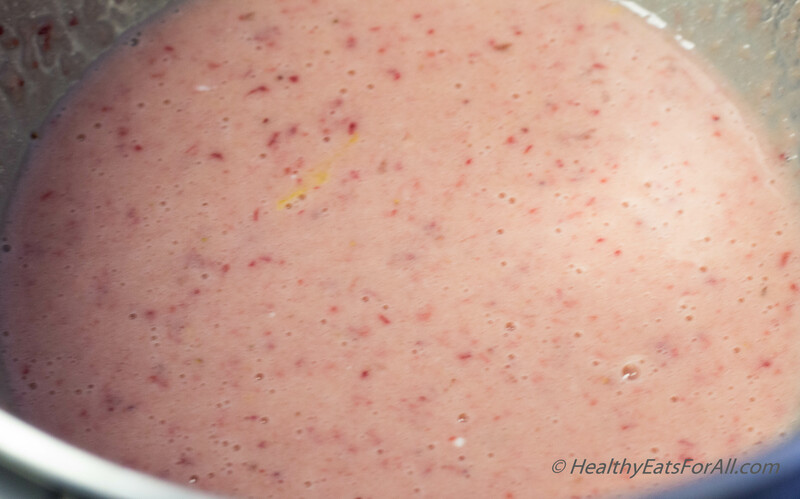 In another larger bowl whisk the next wet ingredients except the diced strawberries. 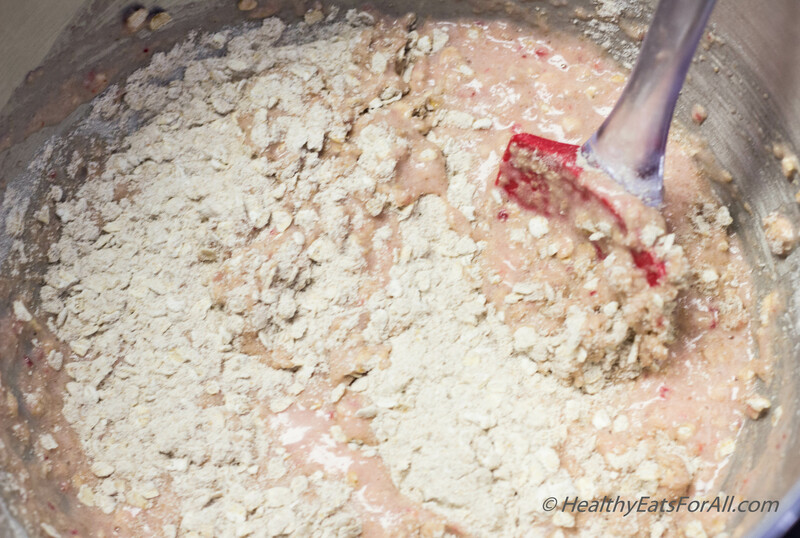 Add the dry ingredients into the wet ingredients and stir well. 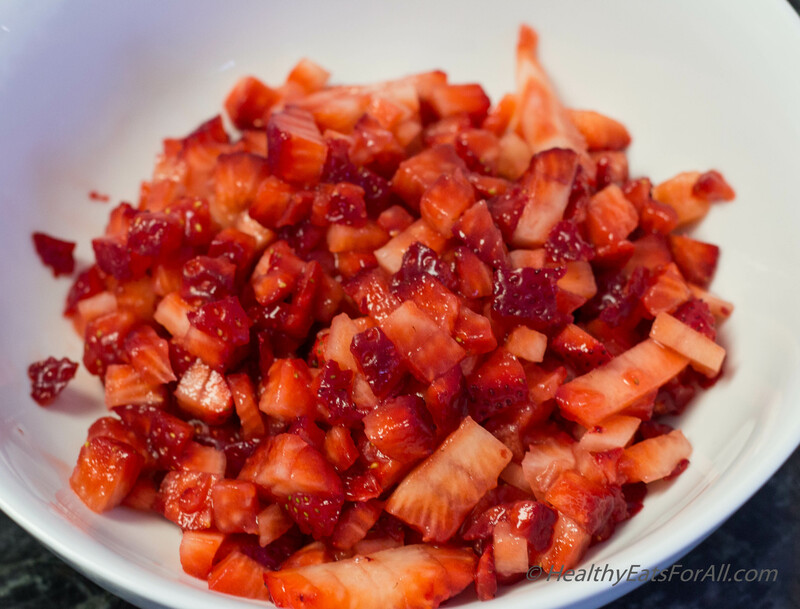 Then gently fold in the diced strawberries. Spoon the batter into prepared muffin pans. Bake for 20-25 minutes till a toothpick inserted into the middle of a muffin comes out clean. Manpreet, as the recipe has fresh strawberries so is it that the cookies needs to be refrigerated? Again the cookies look mouth watering, so I want to try it. Cross my fingers, I am not good at baking, hopefully they turn out to be good. Hi Mickey. These are actually muffins and not cookies. And yes since these have fresh fruit they would need to be refrigerated. One tip I would suggest is that make sure you grease and flour the muffin tray properly. Then they will slide out easily. They should be moist and soft, yet low in sugar. Try them and I hope you like them! I made these gluten free by subbing King Arthur baking mix for the whole wheat flour, then added 1/2 teaspoon each of baking soda and baking powder. They were wonderful. Thank you for this great recipe!